Review: Charles Noel has been enjoying a resurgence of late, with his early explorations as Archetype resurfacing on a number of reissue labels. 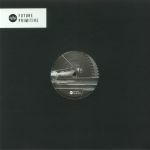 Future Primitive have tapped Noel up for two cuts that typify his left-of-centre approach, leading in with the sharp-edged beat excursion "Form Of Change" that will appeal to all lovers of reduced, off-kilter rhythm workouts. "A Mental Image" adopts a softer stance, laying out a bed of silken pads and errant tweaks that tap into the head-tripping mood of vintage techno while maintaining the future-minded thrust that makes true machine music timeless, whichever era it was crafted in.